Agribusiness giants don’t want you to know—or care—if the food you eat is genetically modified, factory farmed, or grown with toxic chemicals. But the rapidly growing alternative food movement is resisting these practices and helping people reclaim their connections to their food. A forty-year veteran of this movement, Mark Winne introduces us to innovative “local doers” defying industrial agribusiness and leading the charge to bring nutritious, sustainable, and affordable food to all. All across the country, these leaders are turning urban wastelands into farms, creating local dairy collectives, preserving farmland, bringing food education to children and adults in diabetes-prone neighborhoods, promoting food democracy, and empowering communities. Winne’s hope is that all of these efforts, scaled up and adopted more widely, will ultimately allow the alternative food system to dethrone the industrial—and he challenges us to go beyond eating local to become part of a larger solution, demanding a system that sustains body and soul. For twenty-five years, Mark Winne was the executive director of the Hartford Food System in Hartford, Connecticut. 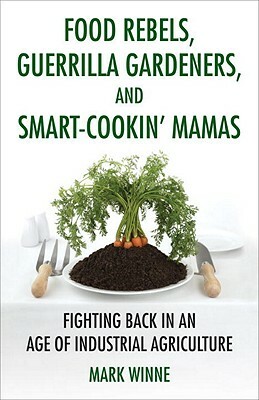 He speaks and consults extensively on community food-system topics and has written for a wide range of publications, from the Washington Post, the Nation, and Boston Globe to Successful Farming. Winne is the author of Closing the Food Gap.